India’s Ministry of Civil Aviation implemented its first drone policy on December 1st, 2018. 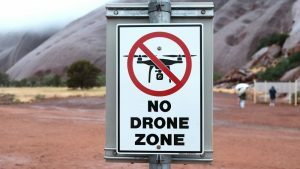 Operators will now be required to apply for an Unmanned Aircraft Operator Permit (UAOP) Small-sized, police, and military, as well as National Technical Research Organization, Aviation Research Centre and CIA-operated drones will not have to register with the Digital Sky Platform –an online license registration. An official who participated in establishing the policy stated that it took a long time to decide certain details due to security concerns including the recent assassination attempt against Venezuelan President Maduro. The US government took similar measures, signing the FAA Federal Reauthorization Bill into effect on Oct. 5th. The bill places extensive restrictions on recreational drone operators such as prohibiting flights near rescue helicopters and other aircraft. One of the biggest considerations for the new legislature was the threat of a terrorist drone attack on American soil. More than 100 serious drone incidents have already been registered this year alone. Even small drones can cause extensive damage to helicopters. An impact to a chopper’s rotor blades or engine can easily bring it down, endangering the crew. The SAFE SKIES Drone Detection System provides helicopter pilots with an integrated solution to the threat of drone collisions. Its advanced warning system detects drones within a 1km radius, providing the helicopter crew an early warning and ensuring they have sufficient time to avoid a collision.